I have to admit I cannot think of any films on Recruitment, although I do rememberer one short series on the BBC back in 1994 called Headhunters, with James Fox and Francesca Annis. James played a senior Headhunter in the city and certainly made the position of a Recruitment Consultant sound glamorous, which is probably why whenever any one moves job, they always say I was Headhunted! What got me onto this topic in the first place, was an excellent film I watched at the weekend called the Pursuit of Happiness with Will Smith, which got me thinking about if there are any other films on recruitment. I have to admit I couldn’t think of any, saying that I did feel this film would benefit anyone looking to change their career. From a recruiters perspective it is certainly proved to be motivational and although the role was for a stock broker, I couldn’t help but see the similarities. Not wanting to go into too much detail as to spoil the film, I think it is important to know that it is based on a true story about a father (Chris Gardner) who was broke and the only way out was to change his career. Well a few of us have been there I think and with the present credit crunch in the UK it was certainly poignant! Although Chris was looking at becoming a stock broker, it certainly reminded me of my first days in recruitment, which takes me onto the second film. Again motivational and as close I could get to recruitment I could think of, with the catch phrase “Show me the Money”. I am sure many of you have seen the film about a sports agent Jerry Maguire, who went off on his own after working for a large corporate. I am sure that will rings a few bells with the odd consultant out there, but Jerry certainly proves that working with your candidate can pay off, not like many recruitment consultants these days! I am sure there are others and if anyone can think of a few or have any idea where one could get a copy of Headhunters, it would be most appreciated. 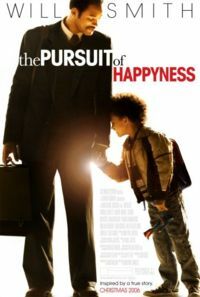 I also watched the movie – ‘In Pursuit of Happiness’ and I really like it. Will Smith is good. Though yet to watch Head hunters. Its a really nice film and it really talks about recruitment even in a typical African setting. How about Jerry Maguire? In my opinion the ultimate recruitment film!!! Th epersuit of happyness, as far as I can remember has not got anything really to do with recruitment… More a story about how someone struggling, worked hard and landed their dream job.